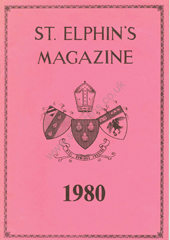 Every year St Elphin’s published an eagerly awaited school magazine which was usually put together by some of the Upper VI form. 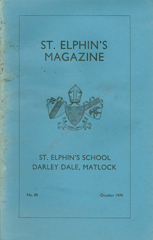 Each issue contained a resume of the year’s activities, messages of welcome to new staff, obituaries, House reports, sports results and much more. 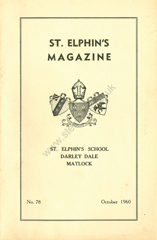 To date, we have managed to track down a complete set of magazines from 1934 to 2001 inclusive and we are sure you will enjoy perusing through them to see if your name is mentioned anywhere, as well as jogging your memory on long-lost friends. 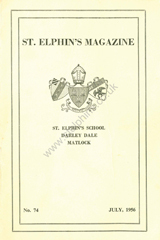 If you have a St Elphin’s school magazine pre 1934 (with the exception of 1925) then please let Liz know (contact details at bottom of page). 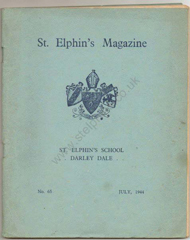 In addition to the school magazines listed below, another publication has come to light – The Elphin – of which we currently have Volumes III and IV, kindly supplied by Elisabeth Larkins (nee Ward, Wilson House 1953-1960). 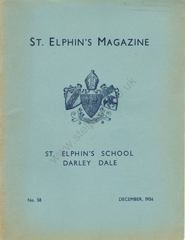 According to the November 1953 magazine, "Last year we only published "The Elphin" for the school, present; now and in the future we extend it to the school, past...". 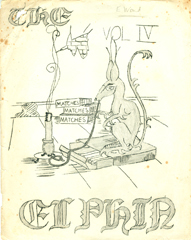 We are therefore assuming that Volumes III and IV were published in 1954 and 1955 respectively and, as yet, are unsure as to how many issues were actually published. 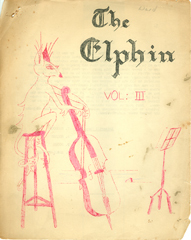 They contain light-hearted poems and short stories, some of which are quite amusing – click on the images above to see the contents. 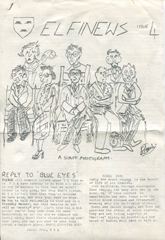 LEFT: In December 2015 Elspeth Gash sent in a copy of ELFINEWS, Issue 4, which was published in 1980/81. 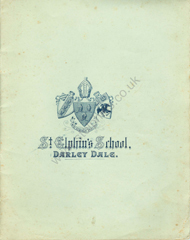 Please click on the image to see the contents – you're sure to have a giggle! 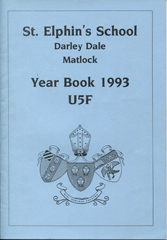 RIGHT: In April 2014 Alison Carminke sent in a copy of the "Year Book 1993 – U5F" which will certainly bring back memories for those who were at St Elphin's around this time. 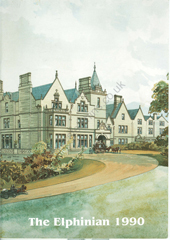 We apologise for the quality of the scans of some of the magazines – this is due to a number of the issues being quite old and the print has faded. 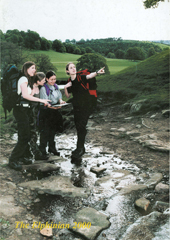 Hopefully it won’t detract too much from your enjoyment of perusing them!